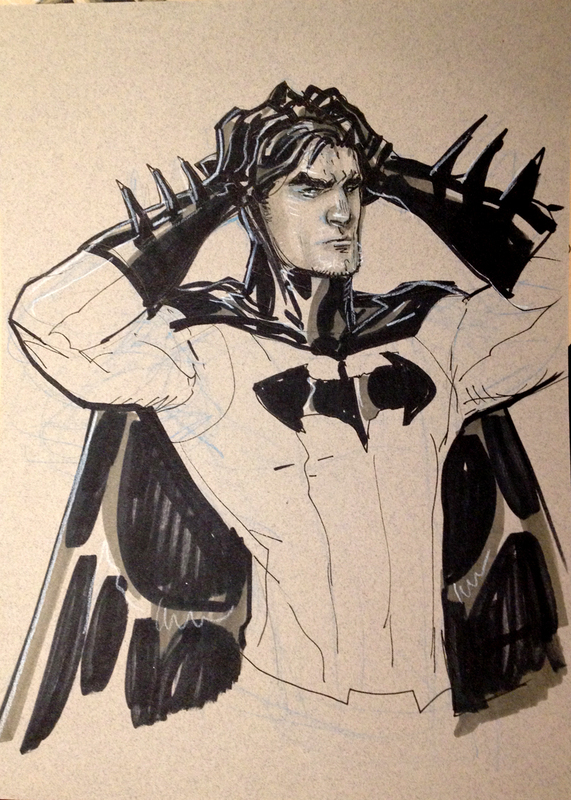 Time for a little testosterone in this place - Batman sketch from Supanova Melbourne 2013. 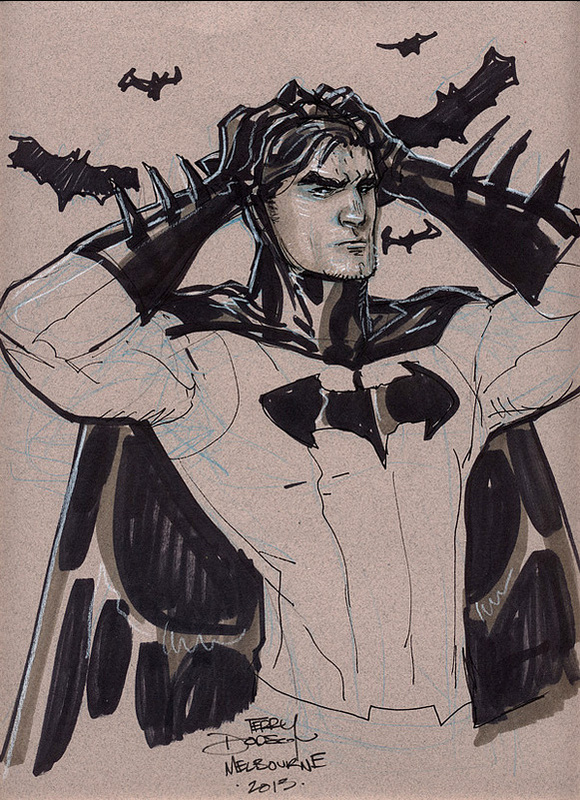 Here's the final where I dropped in Black Bats in the background! Drawn on 9 x 12 Canson Me-Teint Pastel Paper with Col Erase Blue Pencil and Warm Grey Copics and Pigma/Copic Black Pens.